Mark Soltys is a results driven leader and energetic professional in the field of information management and technology. Mark has a long history of experience in multiple disciplines within the field of management information systems. Over 25 years of experience analyzing and implementing Enterprise Resource Planning (ERP) systems (SAP and others). Organizational leadership experience ranges from small companies ($5mm in revenue) to participation in the management team of large global organizations with revenues over $10B. Very strong in program management and facilitation roles with experience ranging from “C” level executive management to executive steering committees to technical focus groups. Project management roles and consistent “hands-on” involvement throughout the projects has kept detail skills tuned. Direct personal experience includes: execution of two successful mergers / acquisitions (ERP Integration services companies); development of two strategic technology business plans; and the completion of over seven systems life cycles (including SAP) from business process reengineering (BPR) through package evaluation, process model constraint, customization, development, implementation and support. Mr. Soltys is a Director with Dickinson + Associates focused on SAP implementation, optimization techniques and assessing SAP upgrade strategies. This includes recently leading a multi-plant deployment of SAP for an Aerospace and Defense organization and completing an SAP upgrade assessment for Hollister Incorporated, a health care products company. As COO for Equal-Plus, Inc. he directly managed service delivery for this SAP business partner including the rapid implementation of SAP for an Aerospace manufacturing company. He served as a member of the PMO for a large mall retailer implementing SAP IS-Retail with direct responsibility for the development of the cutover strategy and tactical plan. As Vice President of Operations for Intelligence he was responsible for the North American service delivery operations of over 120 SAP consulting professionals and support desk operations. He provided executive advisory services to multiple All-In-One (SME), public sector and large manufacturing company SAP implementations. While at Conley, Canitano and Associates, Inc. (CCAi), Mark served as a Vice President/Practice Manager, directly responsible for over 100 SAP consulting professionals. His roles included providing services at the PMO level for a large SAP HCM implementation serving over 30 locations and 35,000 employees in North America. 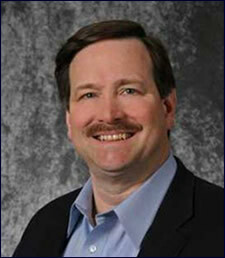 He provided project management services for Coca-Cola’s initial implementation of SAP’s Production Planning, Plant Maintenance and Quality Control functionality in Atlanta, Georgia. Prior to holding these leadership positions Mr. Soltys was employed at Shell Oil Company as a Programmer Analyst, Ernst & Young as a Consulting Supervisor, Atlantic Richfield Company (ARCO), Pratt and Whitney as an IT Manager, and at Mobil Oil as the IT Lead on the Global Revenue Reporting project. He earned a Bachelor’s degree from Ball State University with a double major in Computer Science and Accounting and a minor in Mathematics. Additionally he is an active contributor to his communities from elected office through volunteer work and contributions. He resides in Atlanta and is married with grown children.